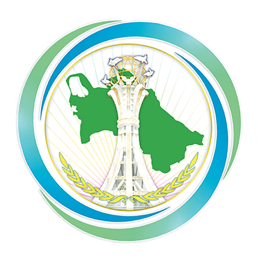 On February 5, 2019, an International media-forum dedicated to the First Caspian economic forum was held in the premises of the Chamber of Commerce and Industry of Turkmenistan in Ashgabat. Representatives of the Ministry of Foreign Affairs of Turkmenistan and other relevant ministries and organizations, foreign journalists accredited in Turkmenistan, representatives of international news agencies, newspapers and magazines, TV and radio channels of the littoral states, as well as representatives of the media of our country have participated at this media-forum. At the beginning of the media-forum, a video film dedicated to the importance and prospects of the First Caspian economic forum was shown to its participants and a new website specially designed for the First Caspian economic forum was presented. During the media-forum, the plenary sessions “Economic development of energy and transport systems of the Caspian Sea” and “Tourism, trade and economic cooperation in the Caspian Sea” were held. The participants highlighted the significant role of the First Caspian economic forum not only for Turkmenistan, but also for the entire region. The participants also noted that the holding of this event is an important component of the process of further implementation of cooperation in the Caspian Sea. Representatives of international news agencies, newspapers and magazines, TV and radio channels of the Caspian countries who took part in the media-forum visited the sights and museums of Ashgabat.